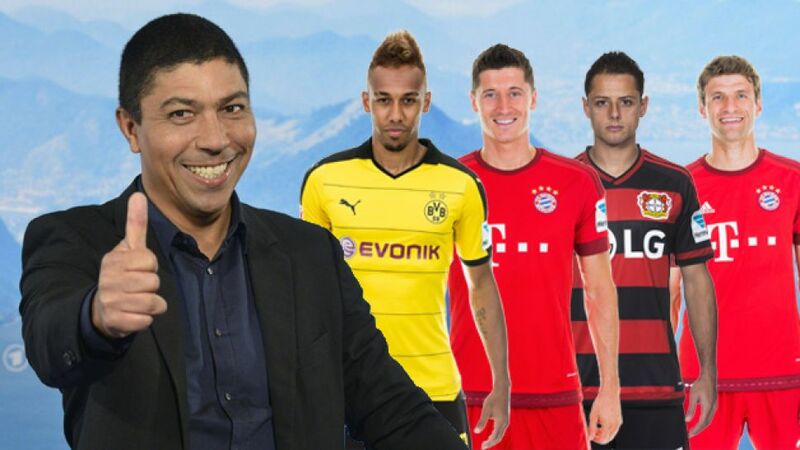 Giovane Elber (l.) knows a thing or two about finding the net in the Bundesliga. With a glorious career including 133 goals in 260 Bundesliga appearances behind him, FC Bayern München legend Giovane Elber is the perfect man to run the rule over the top-flight's current outstanding crop of strikers. "It's pretty exciting this season," Elber said exclusively to bundesliga.com. "I can't remember when a striker has scored as many goals as Pierre-Emerick Aubameyang has been doing." "It's a really tough call to make because it hasn't been so close and exciting for such a long time. If he stays injury-free, Aubameyang can go on and finish as top scorer, but I'm in no doubt it's going to be a thrilling fight right until the last."